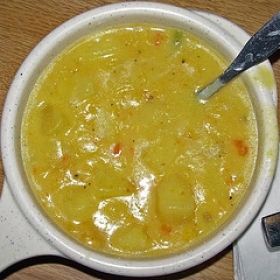 Have you made Catalan Potato Lima Soup? 1. Saute the onions in the oil for about 5 minutes, until translucent. 2. 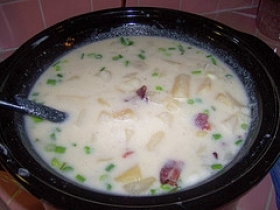 Add potatoes, Lima beans and water or broth and bring to a boil. 3. Add the cilantro and salt and pepper to taste; lower the heat, and simmer for 10 minutes. 4. 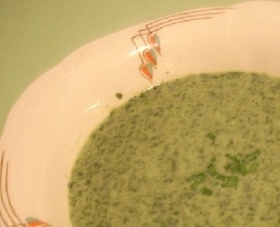 Puree in batches; return to the soup pot, and gently reheat, if necessary. 5. 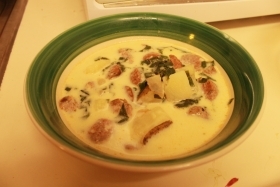 If you prefer a creamy soup, stir the skim milk or buttermilk into the soup and gently reheat. 6. 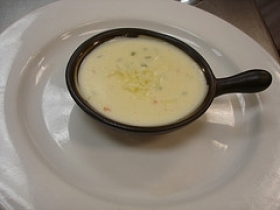 Serve garnished with roasted red pepper or pimiento strips. 7. 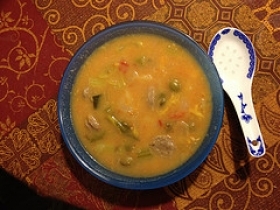 "This thick, pureed soup, hearty and full flavored, is a longtime favorite at Moosewood. 8. 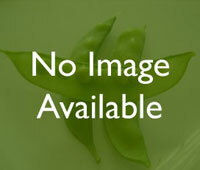 For this recipe, you should use only fresh or frozen Lima beans; dried limas would give a very different result. 9. " 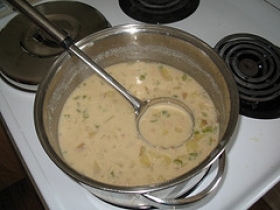 Pat's chunkier thicker soup: halve the recipe; add a slice of jalapeno (a walnut-sized piece) and add undiluted milk powder. 10. Simmer longer: bring to a boil, then reduce heat to lowest setting. 11. Set pot on a diffuser and simmer for 2 hrs adding up to 1/2 cup more water, as needed. 12. Puree with immersion blender directly in the pot; puree about half the mixture. 13. -- Lunch for 4: An alternative to cream of broccoli, make half the recipe and serve a cup with half a club sandwich. This recipe contains potential food allergens and will effect people with Milk, Beans, Potato, Cilantro, Onion, Olive Oil allergies.